Last year I started thinking about giving Kailmeyra makeover. I love the old covers, but they were looking dated. Too, I like the idea of having something that represented the symbolism that’s seen throughout the series. And so, after the release of The Scythian Trials, I decided to take the plunge. Here they are, in all their glory! 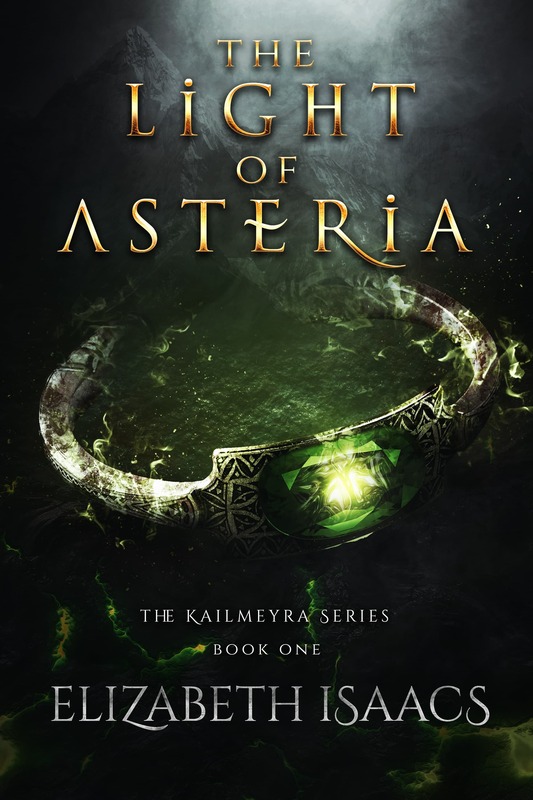 The amulet on the new Light of Asteria cover is Gavin’s soul stone. For those that haven’t read the series, a stone is born with an Alfar male, which is placed in an amulet and hidden away. During his right of passage, the amulet is secured around his left ankle. When he falls in love, the female becomes his source and the amulet unclasps. It can then placed on the left wrist of his mate. Gavin’s amulet has a light flickering deep within and is significant throughout all three books. I love that it is featured on the first book’s cover in the series. Kailmeyra’s mountain is silhouetted in the background and is more pronounced on the softcovers, especially as it wraps around the back. The color scheme is also symbolic as Gavin is the Keeper of the Mountain. Green is a healing color and symbolizes life, renewal, nature, and energy, which is why I chose it for his character. 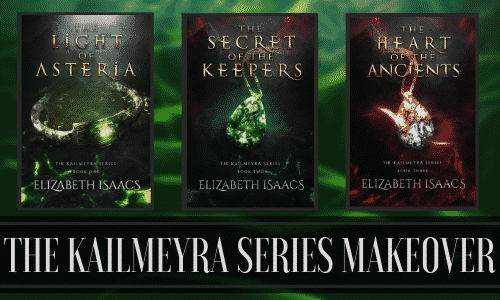 The Secret of the Keepers holds another significant stone, although I don’t want to spoil it for those that haven’t read the book. Notice the red that seeps into the background of this one. Red is an intense color that can be contradictory in nature as it symbolizes both love and hate. Some cultures view red in an evil light, yet other cultures feel it represents purity and joy. As for the series, red symbolizes power, aggression, and passion. These are the reasons evil has found its way into Kailmeyra, and so I thought it a perfect color to place into the background. I love the ominous feel, which is fitting because the second book has Nora facing her worst fears. 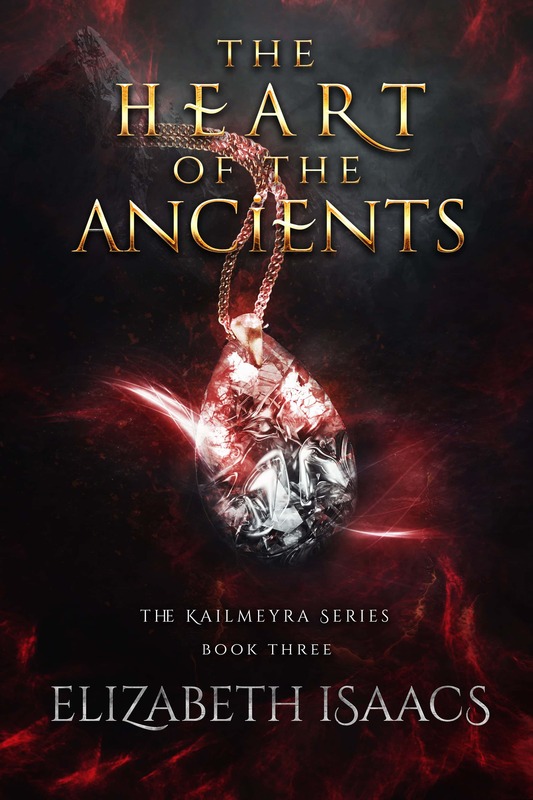 The Heart of the Ancients is my favorite book in this series. 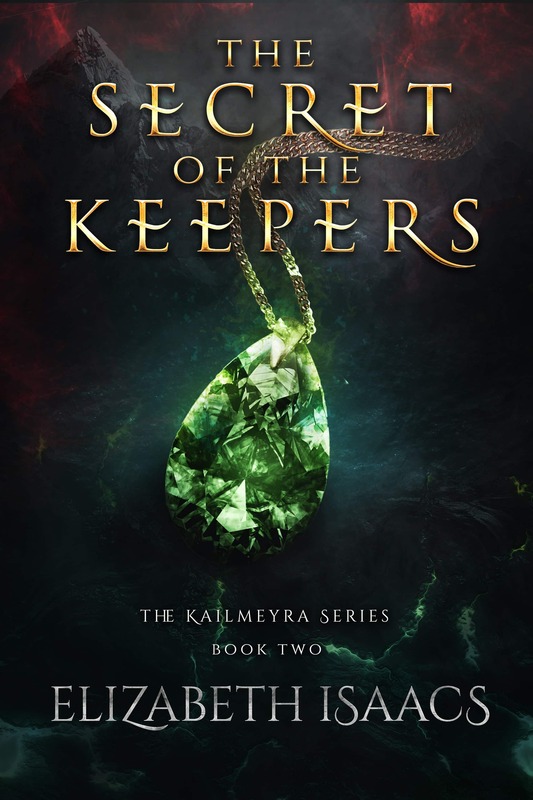 The amulet is the same as the one on Keepers because it is so significant to both books. But in this design, the stone has turned silver because it’s been imbued with the Urisk’s power. In this book, Earth has fallen to darkness and Kailmeyra is well on its way. But unlike the red in the Secret cover, the power, aggression, and passion in this book are significant as those are the things needed for Gavin and Nora to fight the enemy. Notice how this red seems stronger but not ominous like its predecessor. I love how each book feels stronger than the last while keeping the same theme. Also, it should be noted that all the covers have a mountain in the background, which remains unchanged. Symbolically, this represents constancy, eternity, a point of contact between heaven and Earth. And that seems fitting, doesn’t it? I loved this series and was sure there would be another loved the trials of good and evil and good winning in the end just thought the series would continue.